Here is a short explanation of what is the difference between Paleo and the LCHF diet. Let’s start with looking at the Paleo diet compared with LCHF. 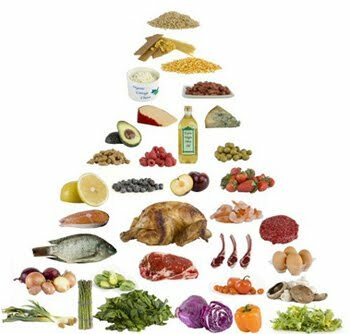 The biggest difference is that Paleo is not a low-carb diet but aims to eat carbohydrates in the form of fruits, vegetables, roots and berries instead of starchy carbohydrates. Those who eat according to strict LCHF are not allowed to eat fruit or root vegetables and not all vegetables. Within the Paleo diet you have to remove all dairy products because it is food that we are not really made ​​for and that has been added on to what people ate a long time ago. LCHF includes dairy products and especially the fat dairy products. Both the Paleo diet and LCHF exclude gluten from the diet, which often results in stomach gets better and quieter on most people. Both are protein-rich diet attitudes, which is also the nutrient that saturates the best and which also results in that we often eat less when we become full sooner. Whatever you choose, you should look at yourself and which one that suits you the best! Just because your neighbor is doing brilliantly and lost weight with Paleo or the LCHF diet, does not mean that it is right for you. How does keto, lchf and other low carb diets work? This entry was posted in Facts and tagged dairy, gluten, LCHF, low-carb, Paleo, protein on April 25, 2013 by Johan Bengtsson.